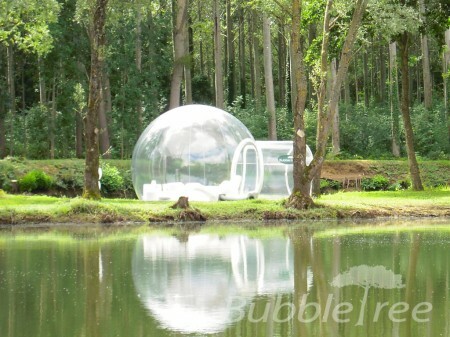 In 2006 the French designer Pierre Stéphane Dumas starts a research for an unusual up-to-date temporary accommodation solution. 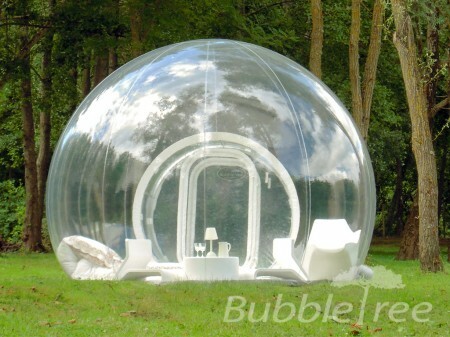 The answer to the quest is the concept of a hut in the trees, BubbleTree. This first creation comes as a result of applying the ecodesign approach to arranging a privileged space in the midst of the nature leaving no impact on the place. Indeed, the tourist seasons are ephemeral. Aspiring to face the contemporary environmental, economic and social challenges, we cannot but develop the accommodation solutions matching this axiom. The concept evolves to give place to the CristalBubble range, with the Bubbles offering breathtaking panoramic views on the surroundings. The principle of transparency guarantees low density settlement. A night under the stars with the highest comfort. The flora and fauna are gently welcoming you. Once the season is over, the Bubbles, devoid of any heavy infrastructure, are easily folded back. The nature regains its rights. Although the BubbleTree concept breaks the conventional codes of leisure tourism, we have quickly received international recognition and outreach, which reassured us in the course taken. 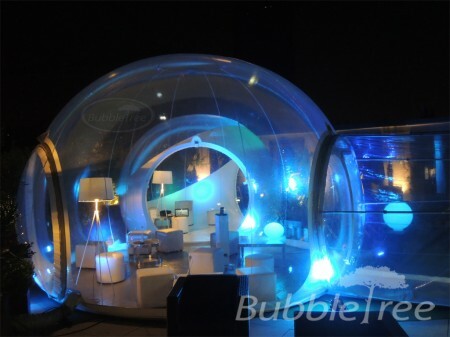 The success of BubbleTree got accompanied by many attempts to copy. 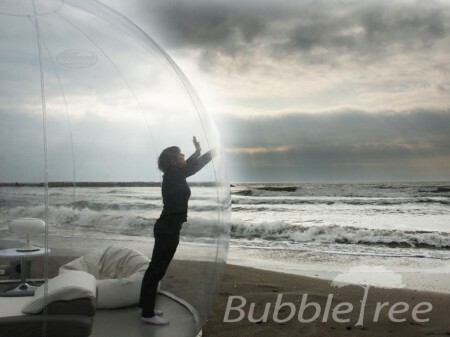 Yet we have never stopped the research and development to continuously improve the experience of a night under the stars. Bubble Lodges, the latest generation of our products, results from both extensive expertise and innovation. 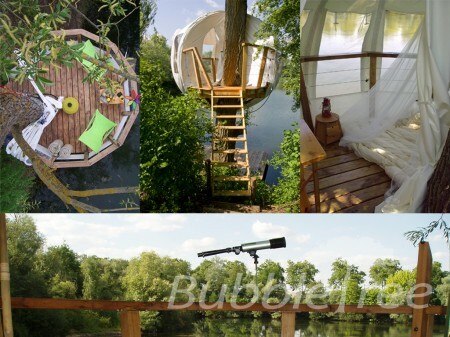 These creations in association with the services we propose let our clients accomplish the projects aiming to set up and promote novice approaches to responsible tourism through uniting top comfort with proximity to the nature and respect for the environment.